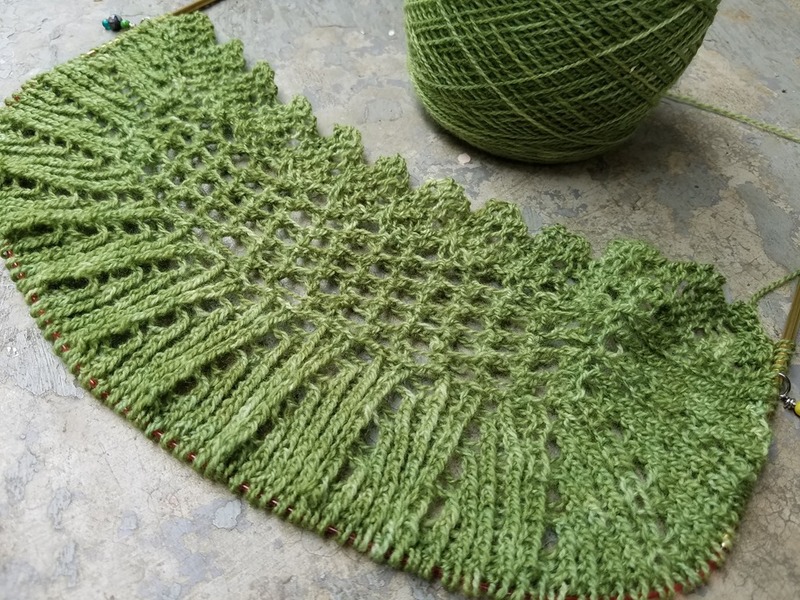 Well I survived not only one but two provisional cast on incidents in the process of starting the knitting of Sonnenblume. It nearly killed me a few times and more than a few un-lady-like words were uttered but it is smooth sailing now. I have also been making preparations for dyeing a bunch of yarn to restock for the late summer and fall festivals. 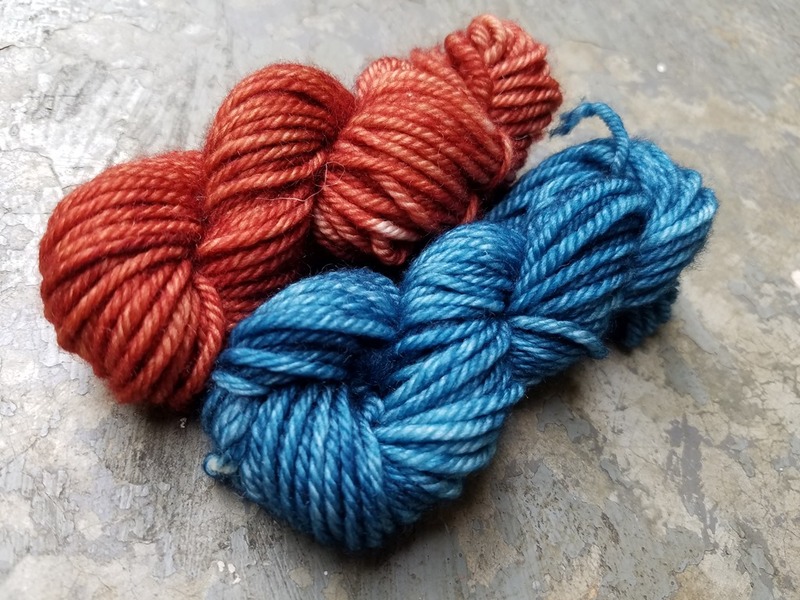 I mentioned I am going to add a couple new colors and here are the sample skeins as a sneak preview. I am calling them Paprika and Peacock. Both are a bit more muted in person than what I see on my screen. They will be replacing Azure and Pumpkin Spice which are colors I have had in my line from the beginning, so ten years. I will have all the yarn in my inventory in those colors on clearance price very soon. More on that later. Okay I am going to get some knitting done. See you soon!